Thanks to a change in the rules, remixers are now getting credit for their impact on music culture. Remixes are a major part of the way music evolves in the 21st century. They build bridges between genres and they connect cultures around the world. Now Spotify is making some changes designed to give remixers the credit they deserve. For the first time, streams of remixes will count toward the remixer’s monthly listeners. (This update applies to all songs with a remix credit dating back to the beginning of 2015.) Remixes are also now eligible to appear in the Popular and Latest Releases sections of the remixer’s artist profile—a feature you may have noticed since it was rolled out in October 2017. Finally, remixers will now get access to song-level insights for their remixes in Spotify For Artists, giving them unprecedented access to data reflecting how fans engage with their music. We asked Louie (born Luis Ferdinand Vega Jr.) about his favorite remixes over the years, along with what makes a great remix—and one tantalizing commission that he regrets having turned down. Congratulations on the Grammy nomination. It must feel nice to be up for the Loleatta Holloway song, as kind of a tribute to her. Little Louie Vega: She's our queen, man. She's the icon. She's the one of the most sampled voices in history. I was lucky enough to get this song from Yvonne Turner, who produced her in her later years. She had one of the last songs she recorded, which never came out, and she brought it to me. I loved Yvonne’s mixes—her production was amazing, but I said, let me do something, you know, just to give it another flavor. You’ve remixed some of the biggest artists in the world. Are there any remixes you think of as being major moments in your career? The remixes we did for Incognito, on Talkin’ Loud. I like when we took artists from different genres and did something powerful that affected the dance scene. When we did Roni Size’s “Watching Windows,” that was a beautiful piece that broke barriers and went in different areas. We did Afro Celt Sound System, a group Sinead O'Connor worked with. We love what we did with that. You know, all these groups from different scenes, it could have been a rock record, a jazz record—we weren't afraid to take chances. That's what we love to do: take something from one place and bring it into our realm. Back in the day, remixes were a major part of the music industry: Every record got a remix. How have things changed for remixed since then? Do you feel like the major label remix is starting to make a comeback? Remixing was the thing in the ‘90s and it was huge, a lot of those remixes were getting astronomical fees. These days, most remixes, you just do them to do them. For me, I produce records now, that's what I do: I’m a producer. Of course, I remix things that I would love to put my touch on. Right now I'm remixing two unreleased songs that Luther Vandross recorded when he did the Never Too Much album back in 1981. To me that's a big challenge, so I jump on stuff like that. The remixing thing is a lot more on spec. These days, you let go of an acapella and if the record is big, everybody's going to try to do a remix of it, from an amateur to somebody established. It's almost like a free range right now. A lot of the time, we did a version that stayed true to the original song, and then we did dubs with a vocal hook or a musical hook and all this new music. The thing with remixing is that you have the freedom to build a whole new musical foundation underneath the singer, and that's what allows you to take it to that other place. It allows you to take an artist that has never set foot in a club, and now their song could be the biggest song in clubs around the world. What do you listen for when deciding whether or not to remix a given song? Something's really got to catch my ear. I'll give you a perfect example. Back in the early ‘90s, we did a remix for Saint Etienne’s “Only Love Can Break Your Heart.” If you listen to the original song, that dub really had nothing to do with the song. We took some small vocal hooks and we built this new track around it. But you still knew that it was kind of Saint Etienne. You have to have something from the song that is catchy and that's what we always looked for. If we heard something like that, we would do it. Sometimes you would find the weirdest songs that didn't really work as a full-club mix under, so we would do these dubs that would still keep some of the identity of the artist. Yeah, of course, man. Kenny and I said no to some of the biggest artists back in the day if we didn’t feel that we could do justice to the song. I'll never forget, back in the early ‘90s, when we were asked by Atlantic Records to do a remix on a Mick Jagger song . And I just felt that we couldn't do to the song what we really wanted. Trust me, we wanted everything to work with Mick Jagger. He's the greatest, you know what I mean? But we felt like we were going to do our thing to it, and it wasn't really going to sound like it was his song and melody. So we passed on it and I'll never forget, I got that phone call. He was in a video shoot and he called my home. I couldn't believe it was him. I actually was saying, “This is not Mick Jagger.” And he kept saying, “This is Mick.” I heard the accent and everything. I said, oh goodness, it is him. *[Laughs]* He’s calling about the remix that we just said we couldn't do! I’ll never forget that. Is there a little part of you that now regrets saying no? I regret it 100 percent. What I know now, I definitely could've done some justice to it, no matter what. Sometimes we would request for singers to come in and re-sing. We thought having them in the studio, we're really going to take it to another place. We did it with Donna Summer, may she rest in peace. We did it with Tito Puente, we did it with Jocelyn Brown, Bebe Winans. So many different artists, we suggested they come into the studio and they would get new ideas and it would become this beautiful piece. It sounds like remixing is a very holistic process in that sense. One of our special qualities is that we really know how to get the best out of artists in the studio. We're feeding off each other all the time. Do you think remixers get enough credit from the public for their work as artists in their own right? Can you remember the first remix that made an impression on you as a listener? Walter Gibbons, Francois Kevorkian, Larry Levan—back in the late ‘70s, early ‘80s, they didn’t really redo all the music like we do. They would take the original song and strip it down, dub it, do all these wonderful things with it, which was an art as well. They didn't just take an acapella and compose music under it. They were stripping down the records and creating new arrangements and putting effects on them. One record that really blew me away, because I got to work on it, was Loose Joints’ “Is It All Over My Face.” We did a project for West End where we did a mix of the catalog, and we also remixed like 20 of their songs. One of them was “Is It All Over My Face.” When we put on the record, we were like, wait a minute, it doesn't sound like the version Larry Levan did. And then you started realizing the magic that Larry had. What are some of your favorite remixes that you’ve done over the years? Wow. Let me think, let me think. It’s a pretty big catalog—we’ve probably recorded over 2000 pieces of music. “Can't Hide Love” by Earth, Wind and Fire. We took a ballad, a slow jam, and we did we did a really nice house remix to it. That's one. “Ain't That Funkin’ Kinda Hard On You,” a remix I did for Funkadelic. Also “Dance,” by 3 Winans Brothers featuring the Clark Sisters, definitely that one. Oh, I got another one. “Ran Kan Kan,” a song by Tito Puente. That was very challenging because imagine you got to take a 1950s record and create a house remix, you know what I mean? We really worked hard on it and it came out really great. Actually, that little hook, that's Marc Antony singing. Nobody even knows that. Which remixes of your own work by other people have most impressed you? The best one, and it’s one of the top remixes of all time, is when 4 Hero did “Black Gold of the Sun” for us for Nuyorican Soul. That's a great remix. We were so happy when we got that remix. Have you been able to grow your fan base by people discovering your music through your remixes? Yeah that happens all around the world. 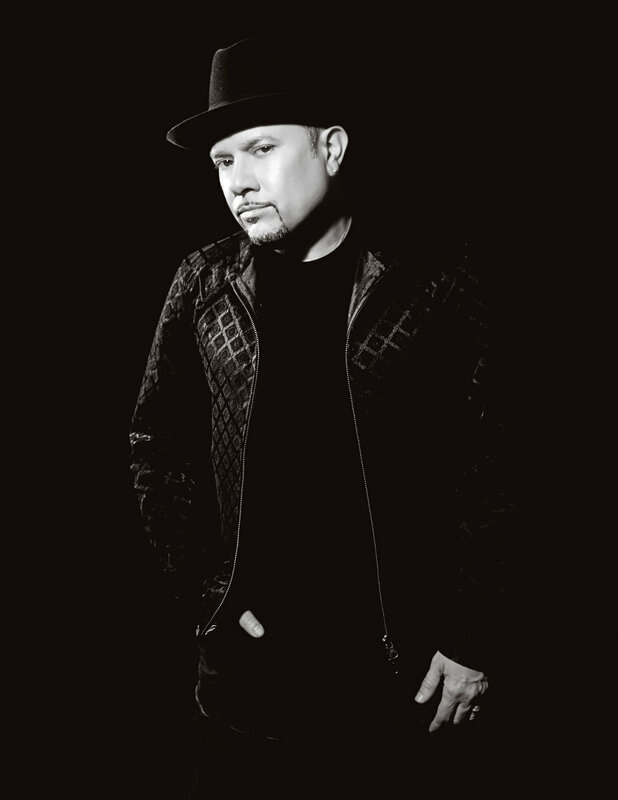 It's crazy because now, on Spotify, when you look up Louie Vega, it's got so much music of mine, so it's really wonderful that you're able to explore, you know what I mean? I'll tell you my Spotify story, because I just did this thing. You know the cabaret law in New York was repealed, right? I did this project called Dancing in New York 1926-2017 My publicist came up with this idea: He said, why don't you go and pick 91 songs for the 91 years the law was in place? So I did my homework. It's like I went to school, I learned so much about music from the ‘20s, ‘30s, and ‘40s that I never knew before, through my research on Spotify. And I created this playlist. It opened up a whole new world for me. It's amazing to be able to go back over that many decades of music and teach other people about it. That archive is there at people's fingertips to explore, and to have people like you help make sense of it is really inspiring. It's funny, because the music that I was picking, when I talked to friends that were schooled in this kind of music, they told me that those were game-changing songs. The ones I picked, at least a couple from each decade, had changed the music scene, which was kind of weird. I just happened to pick those songs from what was catching my ear, you know what I mean? As you skim through it, you can hear the changes—the sounds and recording quality and the orchestration, or how the music went downtempo then more uptempo, that kind of thing. You look at the music from the ‘20s and ‘30s and you see this big-band music that was like what house music is to us today. That was their dance music.